This is the most important article on our site, giving you all you need to know about keeping children safe in your inflatable hot tub. There is a lot of common sense here, as well as some precautions and rules that it’s important to observe. It’s also important that as soon as children are old enough to understand safety, that you explain to them they need to follow the rules at all times. As any parent will tell you, children love hot tubs. The thrill of having what in their eyes is a swimming pool right in their own backyard – and even better, one that bubbles – causes them great excitement and it’s an irresistible attraction. But as with any body of water, it is vital that children are supervised at all times when they are in your inflatable hot tub. Don’t take your eyes off them for a second. This one rule alone will protect your child more than any other: they must never be left unsupervised in a hot tub. If you have children, then it’s a great idea when you buy your inflatable hot tub to set up some ‘Hot Tub Rules’ and maybe even have them clearly displayed near the hot tub. If you get your children to help write and illustrate a homemade Rules Board, they are more likely to remember them. Should You Allow Babies and Toddlers in Inflatable Hot Tubs? Every inflatable hot tub manufacturer recommends that no child under the age of 5 should ever be allowed to use a hot tub. This advice is backed up by safety bodies and the medical community, as you can see in this article on Children and Hot Tubs over on the livestrong website (opens in a new tab). The reason that no child under 5 should ever be in a hot tub is because young children’s skin is very sensitive and they can be burnt by the hot water in the hot tub, which can reach 104F. That’s hotter than an adult’s normal body temperature (98.6F). It’s also much hotter than the temperature of a bath you would ever run for your baby or toddler. As well as the danger of their skin being burnt, children under 5 can overheat very quickly. This can lead to serious problems, such as dizziness, fainting, vomiting, heat stroke, even unconsciousness and worse. Therefore, no matter how tempting it is to have your baby or infant in the hot tub with you, even for just a few minutes, the risks are far too great. For those children over the age of 5, there are some basic rules which will keep them safe while still letting them have a great time. While you are coming up with your Hot Tub Rules, talk to your children about the need to stay safe at all times. Firstly, make sure they are tall enough to stand up in the hot tub with their head still above water. Even if they are good swimmers, or they are wearing flotation aids – even if you are going to be in with them the entire time – it is strongly advised to stick to this minimum height rule. 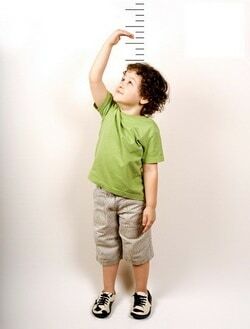 Once you have determined that your children are tall enough to get in, then there are some other considerations to bear in mind. Firstly, they must never get into the hot tub without an adult. That’s why it is important to have a lockable hot tub cover, and to keep the key or code of the digital lock safely away from the children. Up until the age of 11, children should still only stay in the hot tub for a maximum of five minutes. This is because as they are in the hot tub, having great fun, it’s easy for them to ignore any signs of overheating or faintness that being in such hot water can bring about. Children are not always that good at realising how they feel, especially when they are having fun. Therefore, limit their time, and make sure they do something outside the hot tub for at least ten minutes before they get back in. It can also be a good idea to get children to wear swim goggles when they are in your portable spa. These will prevent their eyes from getting red and irritated by the chemicals in the water. When they are in the hot tub, children must not play with the water filter or put their fingers or toes into it. Because hot water can promote the growth of bacteria, it is relatively easy for children to get an ear infection. Therefore, they must keep their heads above water, and not play the “how long can you hold your breath underwater” game. Some basic behaviour rules will also keep your children safe. These include no jumping or diving into the hot tub; no pushing anyone under water; no running next to the hot tub, in case they trip and fall in; and no glass of any kind near or in the hot tub. Also, no-one, of any age, should ever swim before, during or after a thunderstorm. An important rule you need to make sure your child follows is they must not pee in the hot tub. As well as being gross, there are some horrible health hazards which come from the mix of urine with the chemicals you use to keep the water clean and hygienic. These hazards include breathing difficulties, skin irritation, asthma, and susceptibility to bacteria infections. So make sure your child uses the bathroom before they get into the spa. To find out more about this important topic, have a look at our guide Why You Mustn’t Pee In Your Inflatable Hot Tub (opens in a new tab). From your own point of view, make sure that you keep that inflatable hot tub cover on at all times. Prevent your children from playing with the water pump and heating device which comes with every inflatable hot tub. Also ensure they do not touch the electric cable or socket which powers your hot tub. If your hot tub does not have one, we strongly advise that you run your inflatable hot tub power supply through a circuit breaker for added safety. For a good article on the use of circuit breakers, you can read a good overview of how circuit breakers work on the howstuffworks website: How Circuit Breakers Work (opens in a new tab). Finally, make sure the water in your pool is clean, and check regularly that the chemical levels of the water are correct. You can find more information about this in our article How To Test The Water In Your Inflatable Hot Tub. Also, keep all inflatable hot tub chemicals safely out of children’s reach; and if you spill any chemicals, always wipe them up right away. Please don’t be alarmed, or put off from buying a portable hot tub, by this advice. The aim is to make sure that your children and their friends are always safe, so they can have a great time in your inflatable hot tub, in the fun and exciting way it is designed to be enjoyed. Children should never be left unsupervised in a hot tub. No child under the age of 5 should ever be in a hot tub. Children must never ever pee in the hot tub. If a child is too young to say they need to go to the toilet, they are definitely too young to be in a hot tub. Don’t run around near the hot tub, as the area might be slippery. No jumping or diving into the hot tub. Children must not put their head under the water. Children must never touch or play with the water filter, or the heater and massage system. Children must not taste or drink the water in the spa. Children shouldn’t take any food or snacks into the hot tub. However, a plastic cup or beaker of cold water is a good idea to help children – and also adults – stay hydrated. If a child has a cold, a runny nose or an ear infection, they shouldn’t be allowed to use the hot tub. Any child who has a cut, a sore, or an open wound shouldn’t use the hot tub. Children must remember to always rinse their feet before they get into the hot tub, to wash off any grass or traces of mud. Although most of these guidelines are common sense, we have to admit we were surprised to discover some of the more hidden hazards when we first bought our inflatable hot tub. As long as you follow them, however, then you and your children will have a great and trouble-free time with your hot tub, and keeping your children safe will be second nature. Thanks for reading!